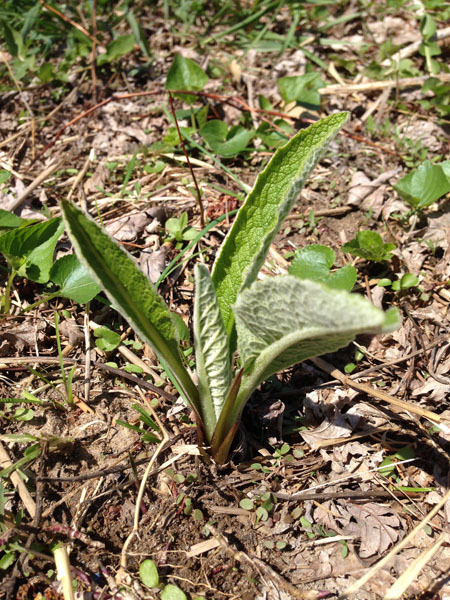 Elecampane is often called Elfwort or Elfdock due to his association with elves throughout history. Another common name is Scabwort as he was used to heal scabs on sheep. Generally the root is used in herbal medicine although some herbalists experiment with the flowers as well. If you have Elecampane growing in your garden, you may want to try some flower experiments yourself. Let’s figure out Elecampane’s energetics. If you have a piece of fresh or dried root, try this little experiment. Take a small piece of the root and chew it between your front teeth, observing all the sensations in your mouth. How does the root taste? Is it sweet? Bitter? Salty? Sharp/pungent? Sour? Sometimes the flavor of a plant may start out as one thing and then move into another flavor as you chew. Also observe how your mouth feels – is it warming up? Cooling down? Drying up? Or are you salivating like crazy? Most people tend to say Elecampane is bitter, pungent, sweet, warm to hot and dry. What do you think? Nutritionally, Elecampane contains calcium, chromium, cobalt, iron, magnesium, manganese, niacin (B3), phosphorus, potassium, riboflavin (B2), selenium, silicon, thiamine (B1), vitamins A and C, and zinc, as well as carbohydrates, fats and protein. Elecampane has many active constituents as well, containing up to 45% of the polysaccharide inulin, as wells as sesquiterpene lactones, the essential oils azulene, camphor and helenin, the lactone helenine, sterols including sitosterol and stigmasterol. Medicinally, Elecampane is said to be alterative, analgesic, anthelmintic, antibacterial, antifungal, anti-inflammatory, antiparasitic, antiscorbutic, antiseptic, antispasmodic, antitussive, antivenomous, aromatic, astringent, bitter, bronchodilator, cardiotonic, carminative, cholagogue, diaphoretic, digestive, diuretic, emollient, emmenagogue, expectorant, hemostatic, hepatic, immunostimulant, lung tonic, rejuvenative, stimulant, stomachic, and vulnerary. That’s a pretty good list of things Elecampane can do, let’s take a closer look at them! Elecampane is probably most known for his use as a lung tonic herb. As an expectorant, he helps to draw out deep stuck mucus, especially when it is yellow or green in color, and is great for respiratory issues such as asthma, pertussis/whooping cough, tuberculosis, bronchitis, pleurisy, colds, influenza, pneumonia and more. As a bronchodilator, Elecampane helps to open up constricted bronchial tubes to help bring out the mucus. Often Elecampane will quiet a cough and while some feel he is suppressing or pushing the cough deeper, I find that he actually goes deep to help bring up old, stuck mucus, breaking it up and moving it out to help clear the lungs. As an antiseptic and antibacterial, Elecampane helps to clear up any infections present with the respiratory ailment while his diaphoretic action will help to reduce any existing fevers present. Elecampane is also pretty great for digestive complaints. He adds a warming spiciness to bitters blends which is helpful for stimulating a sluggish digestive system. Elecampane can help to stimulate a poor appetite, help to clear mucus from the digestive tract, relieve excess gas, fatigue, loose stools, malnutrition, and move food along when it feels ‘stuck’ in the digestive system. Elecampane also helps to expel intestinal worms as an antiparasitic and anthelmintic. As a cholagogue, Elecampane stimulates bile in the gall bladder and has also been used for gallstones. Elecampane acts on the liver as a hepatic, helping to stimulate the liver. Elecampane also acts on the urinary system. As a diuretic, Elecampane helps to relieve water retention. 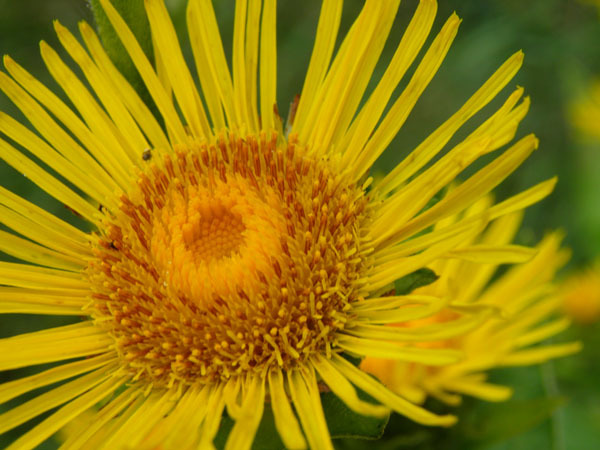 Elecampane has also been found useful for working on skin conditions through the liver and urinary system for healing skin rashes, dermatosis, eczema, skin ulcers, and damp sores. As an analgesic and anti-inflammatory, Elecampane also helps ease pain caused from gout, arthritis and sciatica. 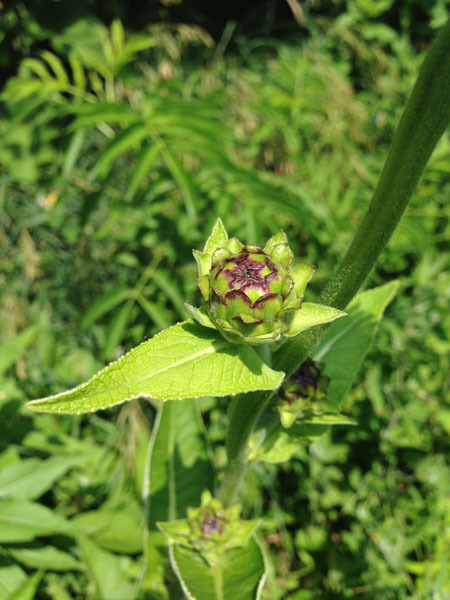 Elecampane was historically given to those who were malnourished with a weak immune system. Elecampane is a rejuvenative and is an immunostimulant, helping to boost the immune system and rejuvenate the body (along with a proper diet). He is great for those with chronic fatigue syndrome, which is has been renamed “systemic exertion intolerance disease,” as well as other autoimmune disorders. Elecampane contains a lot of insulin and is supportive of those with diabetes. As a cardiotonic, Elecampane has helped people with cardiac arrhythmia, especially ventricular fibrillation, especially when the heart problem is present with yellow or green mucus either from the lungs or sinuses. For women, Elecampane is an emmenagogue and has been helpful for bringing on a late menstrual flow as well as helping women to expel the placenta after birthing. Though Elecampane is generally regarded as safe, it is best that women who are pregnant or who are trying to conceive should avoid the use of Elecampane. Externally, Elecampane root has been applied to venomous bites as a poultice to help draw out venom. While this can be helpful in modern day experiences of venomous snake or spider bites, I would apply the poultice but still head to the emergency room for medical treatment. 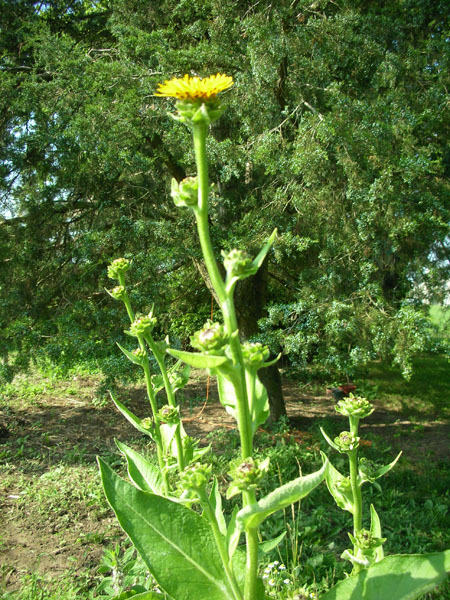 Elecampane is also often applied to wounds as he makes a great vulnerary while his hemostatic actions help to slow or stop bleeding. 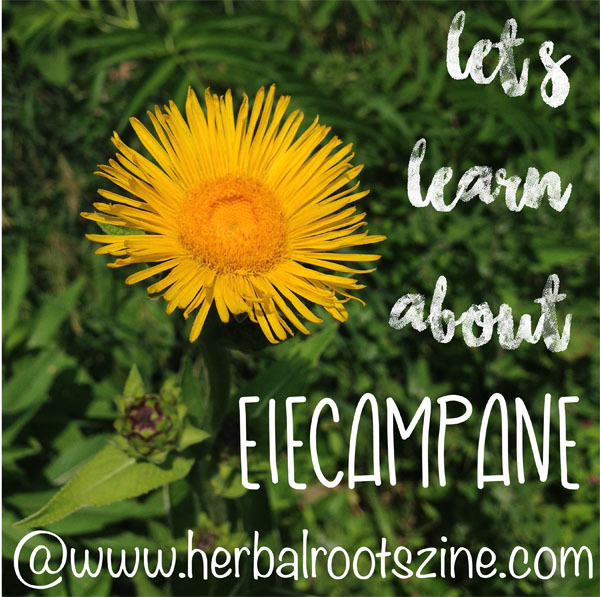 Want to learn more about Elecampane? Grab this month’s issue for only $3.99 through the end of September 2018. This entry was written on September 24th, 2018 by KristineBrown and filed under Uncategorized.